Add this vanity to your bathroom for more traditional style in your home. The good-looking white ceramic counter and white particle board base make a big difference in your bathroom. Keep all the items you need for your bathroom in the double-door cabinet. Redo the style of your bathroom with this classic from Magick Woods. Coverage for all vanity cabinets lasts from 3 years from the original date of purchase. Coverage for all porcelain vanity tops/sinks lasts from 1 year from the original date of purchase. For more information please call 1-855-995-5578. Enjoy the popular modern look in your bathroom with this beautiful vanity. This simple vanity set from American Imaginations will fit right into any bathroom decor. This vanity has both an all-around look and a traditional style. With a white marble counter and grey solid wood base, this piece is very stylish. Put a classic feel in your bathroom with this good-looking set from Avanity. Enjoy the popular traditional look in your bathroom with this beautiful vanity. This piece comes with a beautiful white solid wood base and a beige tan marble counter. Make your bathroom look like new with this good-looking, useful set from Avanity. Use this vanity to bring more traditional style into your bathroom. With a white marble counter and white solid wood base, this product is good-looking and useful. Put together your perfect bathroom with this stylish vanity set from Avanity. Eurostone 23.62-inch W 2-Door Freestanding Vanity in White With Ceramic Top in White Add this vanity to your bathroom for more traditional style in your home. The good-looking white ceramic counter and white particle board base make a big difference in your bathroom. Keep all the items you need for your bathroom in the double-door cabinet. Redo the style of your bathroom with this classic from Magick Woods. 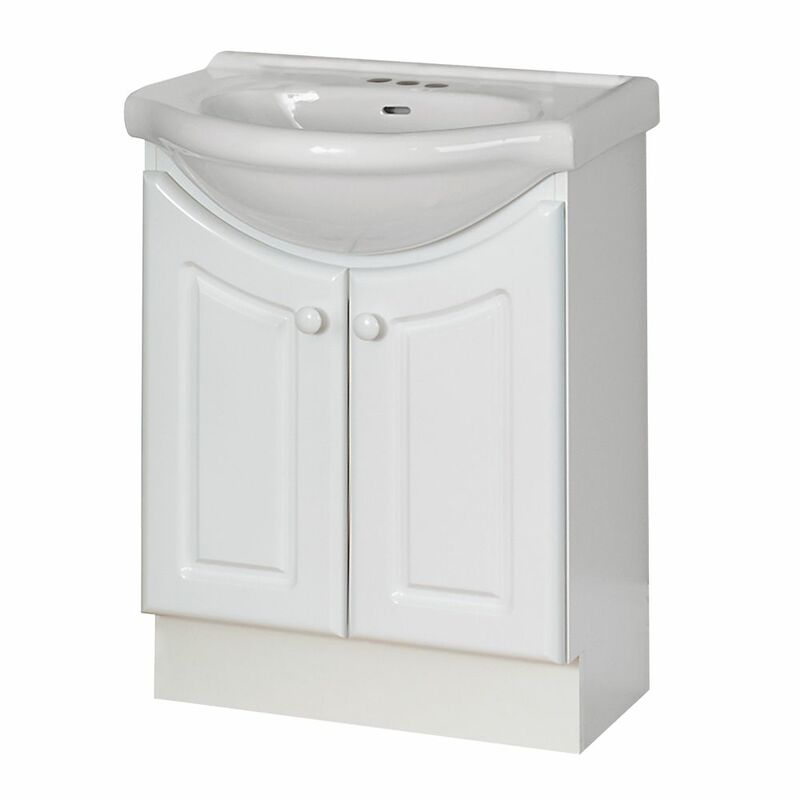 Eurostone 23.62-inch W 2-Door Freestanding Vanity in White With Ceramic Top in White is rated 1.0 out of 5 by 1.